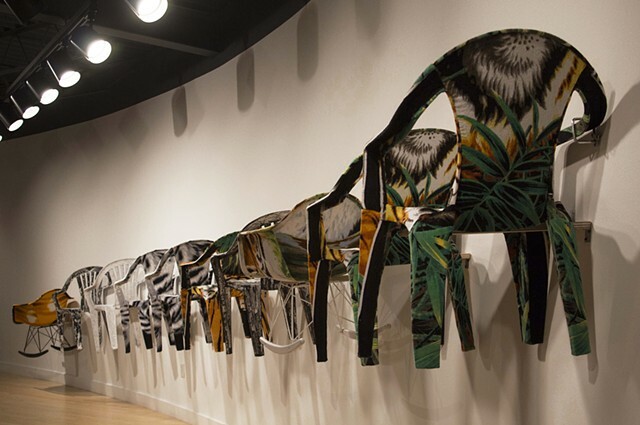 Tropicalamerican features a series of flags and chairs made by applying traditional crafting techniques to untraditional formats. 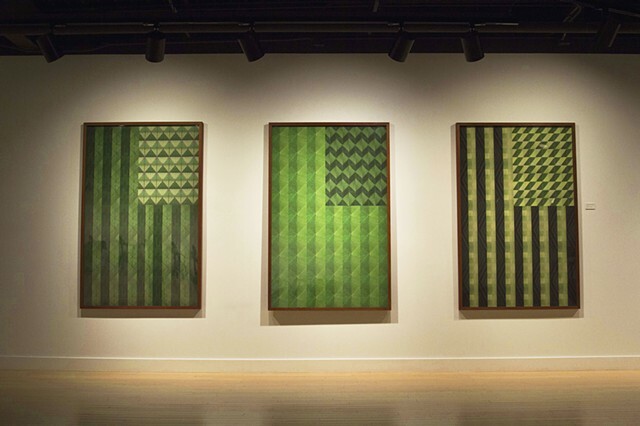 Tropicalamerican (flags) were made with a variety of tropical leaves collaged and translated into a digital format. 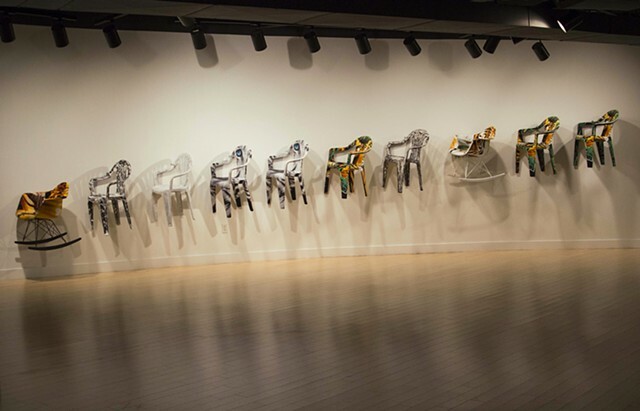 This series approaches the patriotic art tradition that for centuries artists like Robert Rauschenberg, Jasper Johns and David Hammons, among others, have followed with the intent of canonize events, aesthetics and American Culture. Tropicalamerican (chairs) are plastic Monobloc chairs upholstered with beach towels. 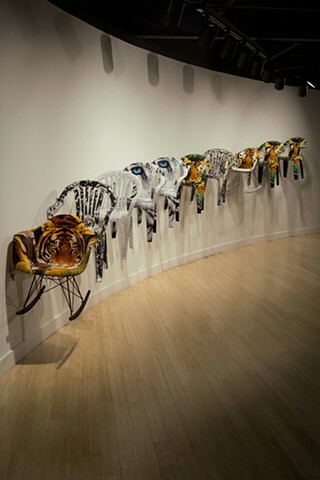 The tiger image on the towels animates the four-legged piece of furniture. Stalking them challenges their function and adds to their excess.